Autumn 2012 so far: JoJo's Bizarre Adventure (1-4) > Smile Precure! (34-36) > Sword Art Online (15-17) > GIRLS und PANZER (1-3) > Medaka Box Abnormal (1-3) > Busou Shinki (1-4) > Aikatsu! (1-3) > Chuunibyou demo Koi ga Shitai! (1-4) > Little Busters! (1-4). It turns out you can bully a girl into seizing the reins of destiny. I knew that GIRLS und PANZER was going to be good, but I certainly wasn't expecting it to be so popular. 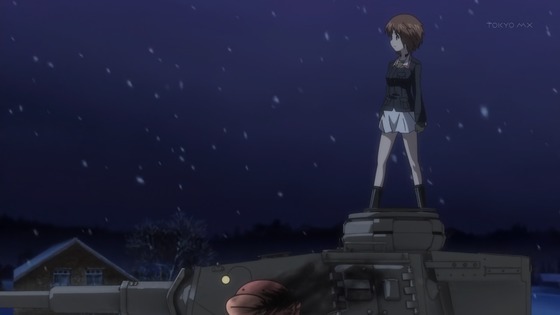 As others have pointed out, GIRLS und PANZER sets the new standard for anime catering to military otaku. This is largely due to its extensive attention to detail, but it also doesn't forget to remain accessible to general audiences. 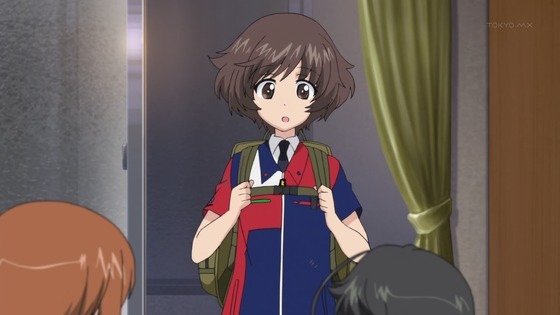 You don't need to catch a Sergeant Oddball reference to appreciate Yukari infiltrating the Not American school in a Sunkus uniform. 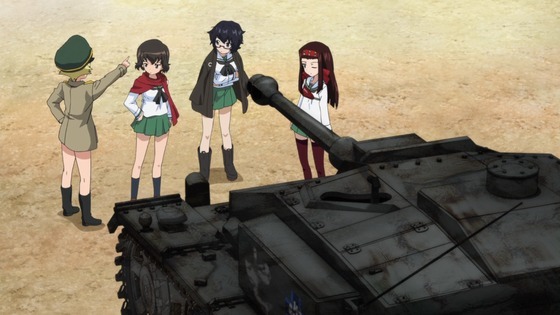 Sadly, GIRLS und PANZER may have been a bit ambitious in its planning and production. The show's finest moment is unavailable to Western audiences (officially, anyway) due to copyright and licensing issues. Its final two episodes have also been pushed until spring 2013. Personally, I'm glad studio Actas decided to work to standard and not to time, so I'm all right with the delay.